The Spotted Tongue: 100 things #13: Recliner tug! Tonight Dahlia DID NOT want to get off the recliner when I got home. 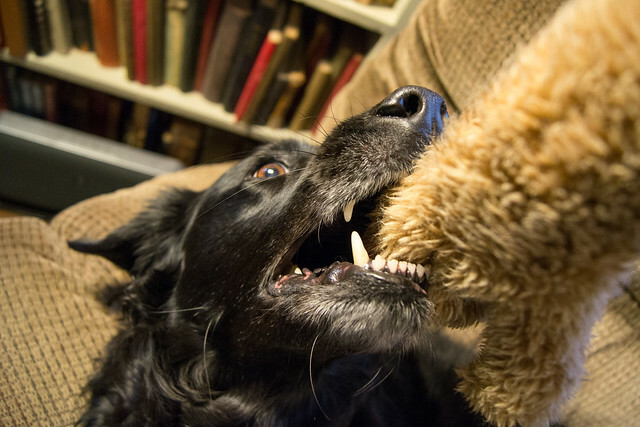 She even wanted to play tug while on the chair. I couldn't resist taking some photos.